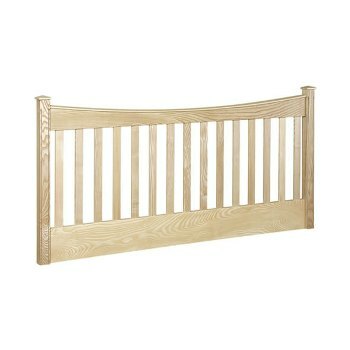 Looe slatted 4ft small double wooden headboard. The Looe 4ft small double solid wooden slatted headboard is hand crafted in the UK from natural Ash meaning any purchase will be helping to support our UK manufacturers. Crafted in solid Ash it is available in a selection of stained finishes including natural Ash (shown), light or dark oak, mahogany, white and light or dark cherry. The Loos slatted headboard is available in 5 sizes; single, small double, double, king or super king and will suit any traditional styled bedroom.